But should you go as far as to rehearse or plan the proposal? There are plenty of stats to suggest that a lot of brides were disappointed with their proposal. Of 23% that declared their disappointment, over two-thirds of them cited the setting or situation as being less than ideal. Sure, a proposal can be a surprise, even when you spoke about formalizing your relationship in this way. But if that surprise isn’t pleasant or what you had hoped for, that’s not a good start for a marriage at all. Start with the ring. 1 in 5 women prefers the idea of choosing their own engagement ring. After all, you’re the one that has to wear it! Check out the best of the designers before going shopping. Have a look at options like Tacori engagement rings at Whiteflash.com. Looking online gives you a chance to browse in private. When you have a better idea about what you want, then you can shop together. By this point in your relationship, you might already be sharing the finances. It makes sense to budget for this big buy together. As for the setting of the proposal? Well, this is a huge part of the whole event. Think about your family. Your union will undoubtedly make them enormously happy. If you haven’t yet announced your intentions to marry, why not propose in their presence? You can invite them to dinner and then take a moment for the proposal. You can even combine this with the engagement party itself. Partners can become very nervous about proposing in the traditional way. They undoubtedly want it to meet your expectations and to be as romantic as possible. But all those nerves can make it horrible for them. They might worry the ring isn’t right, or be nervous that the words won’t come out in the right order. But most frightening for them is if you say no. Making it a sure thing that you’re both happy with can take all the worry and stress out of what should be a memorable occasion. 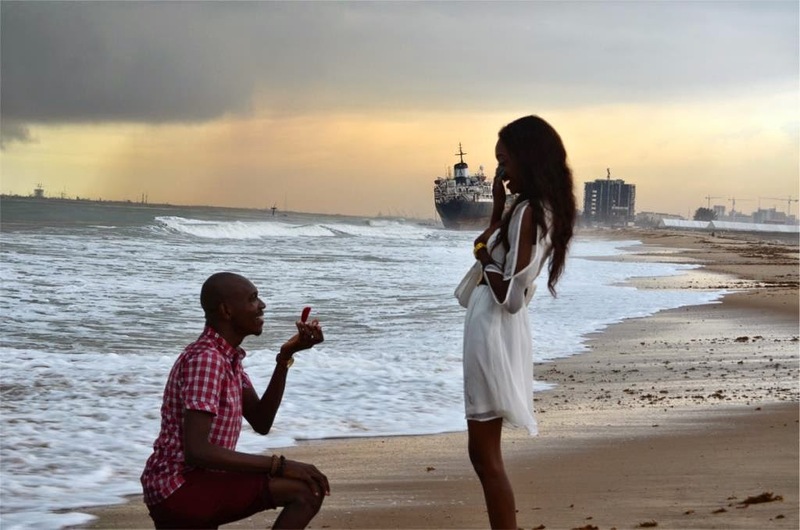 Can a proposal be romantic when you both know it’s coming? And would it even be necessary if you’ve already agreed to get married? Many of us love the idea of our partners putting themselves on the line for us. Making that kind of gesture with the risk that we might say no is an enormous thing. Perhaps there is something to be said for the surprise or spontaneous proposal. But would you both be comfortable with that?